Well, I got my new companion–Sister K. And she is really sweet. She doesn’t know much English so I’ve been studying Korean extra hard to understand and communicate. I realized from being with her that I actually am not the worst at Korean. I can understand most of what she is saying when she speaks to me, It’s just speaking and explaining important things that is difficult. There are a lot of people to take care of in our area and I want to make sure Sister K understands everyone’s situation in full. She’s a super quick learner though. Before she came to church last Sunday, she almost had every member’s name memorized! The weather is getting hotter and hotter. People have actually offered us towels when we come into their house because we’re so damp from sweat and humidity…super attractive, right! Our investigators are really sad that Sister H left, but they seem to be adjusting nice to Sister K. She’s really sweet and a great teacher. I’m excited to learn from her. I’m glad you (my family) got to try cucumber kimchi. I really like cabbage kimchi cooked up with water and meat or tofu–it’s called a kimchi stew. It’s really yummy. All is going well! 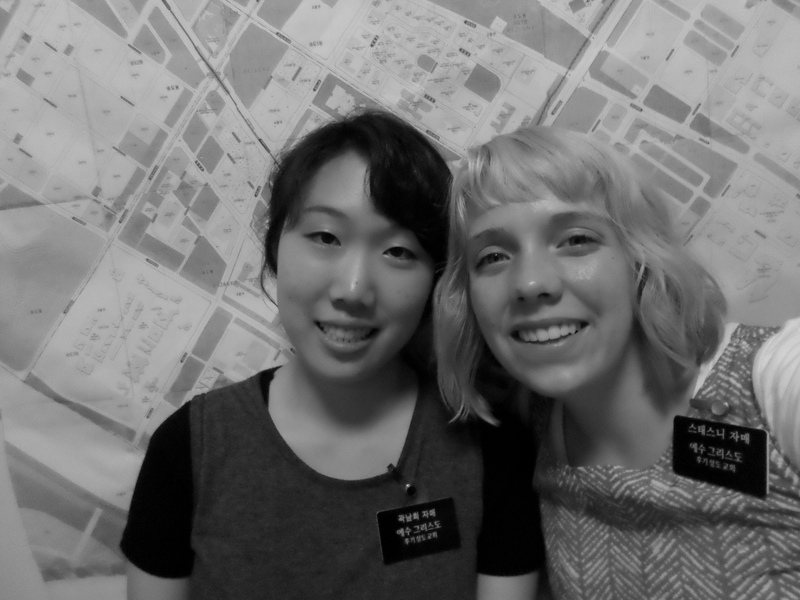 Sister H is moving to a different zone to be a sister training leader 🙂 I’ll miss her. Last week she told me about how her mom accidentally decapitated a kangaroo while driving through the bush in Australia. 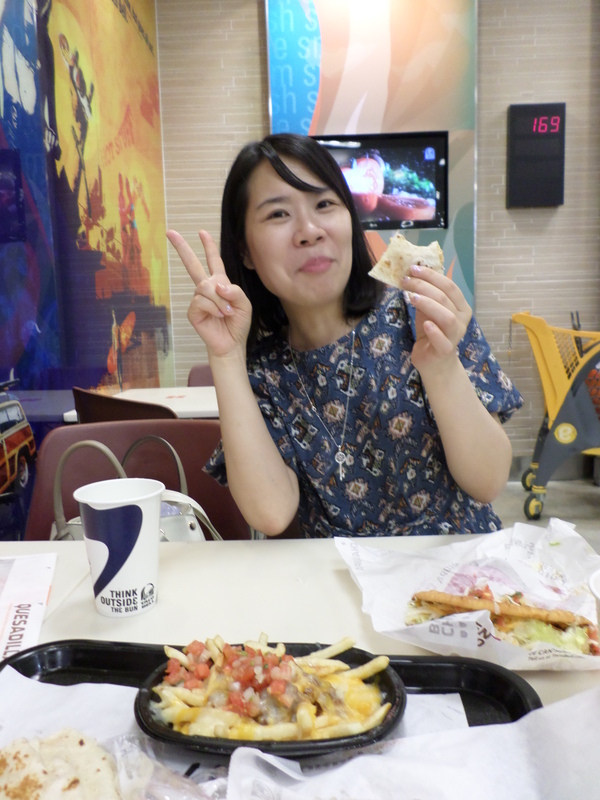 I’ll miss her and her crazy Australian stories–haha! It might be a good thing being with someone else though because I have picked up an Australian accent involuntarily. I didn’t really think so, but Sister Morrise (our mission president’s wife) called up the other day and we chatted for a couple minutes, and then she asked if she could speak to Sister Stastny! She seriously thought I was Sister H by the way I was talking! We laughed so much about it! Hopefully I can pick up a Korean accent soon. This week we had a massive thunder and lightning storm. I woke up at 3 in the morning because it was literally shaking our whole apartment building. It was pretty scary at first because I wasn’t sure if it was a thunder storm or not…But it was! And lightning was cracking and thunder was roaring like nothing I’ve ever seen. It was massive! It was really neat. The best part was after we had woken up and done our studies the next day, everything was completely dry and fine. I love the summer in Korea. Anyway, all is going well and I’m excited to see what miracles this next week bring! Wow! This transfer, our goal as a mission was to pray for our ward and the leaders of the ward! We’ve seen a lot of miracles from it. When I first got to this area, there weren’t any investigators coming to church, and the missionaries weren’t invited to any of the ward meetings. Now, however, we have investigators coming to church and less-active members being reactivated, all of the missionaries are invited and involved in ward meetings, and the ward is just stoked about missionary work! Lately, lots of the members have been texting us for the phone numbers of our investigators and the people we are working with because they really want to help. 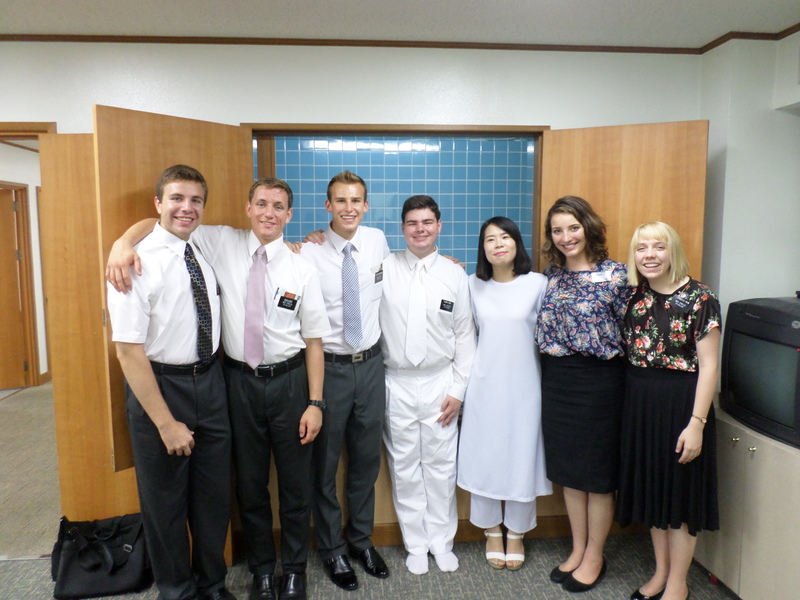 They are so excited about missionary work! It’s great! We actually have to regulate who can teach with us lately because so many people want to help! The Yeounsu ward is my absolute favorite! I love everyone. It’s amazing what happens when the ward members take simple steps to befriend and just sit by those that are new or looking into the church. Because we can’t watch out for everyone that comes to church, the trust that is between us and the member keeps the work progressing and everyone taken care of. Every week our small ward keeps getting fuller and and it keeps becoming more like a family! 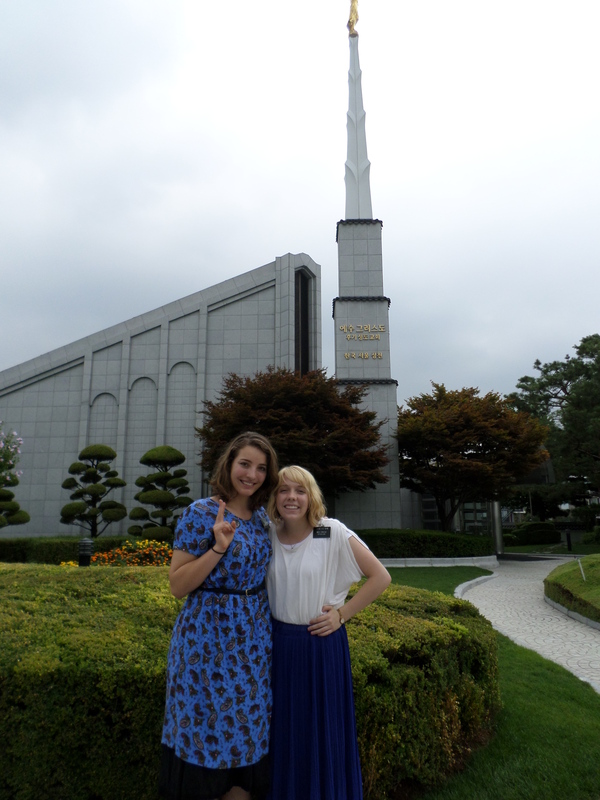 I really have a testimony that missionary work is 100x more effective when members and missionaries work side by side! It’s the only way to do things! 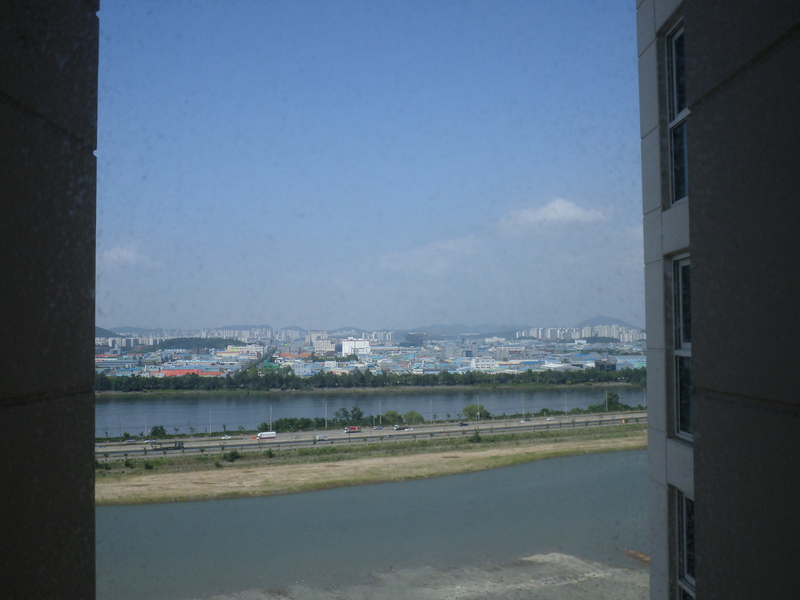 A view of Korea from an apartment on the edge of Songdo. A view from the top floor in our bishop’s apartment. Holy smackeroles. 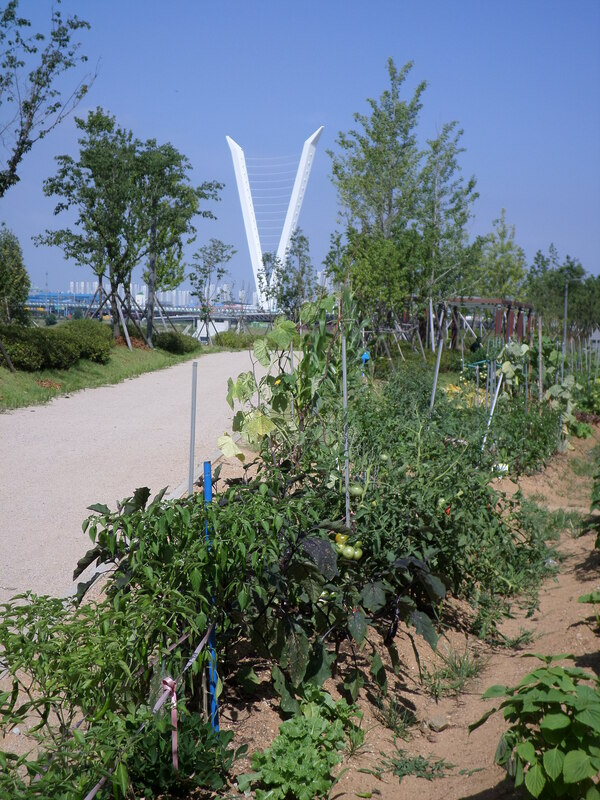 Songdo is so cool! I don’t know what he does for work, but he has the nicest apartment I’ve ever seen. He’s always inviting people over and having huge meals with the ward. The view from his apartment is spectacular! This week was amazing! 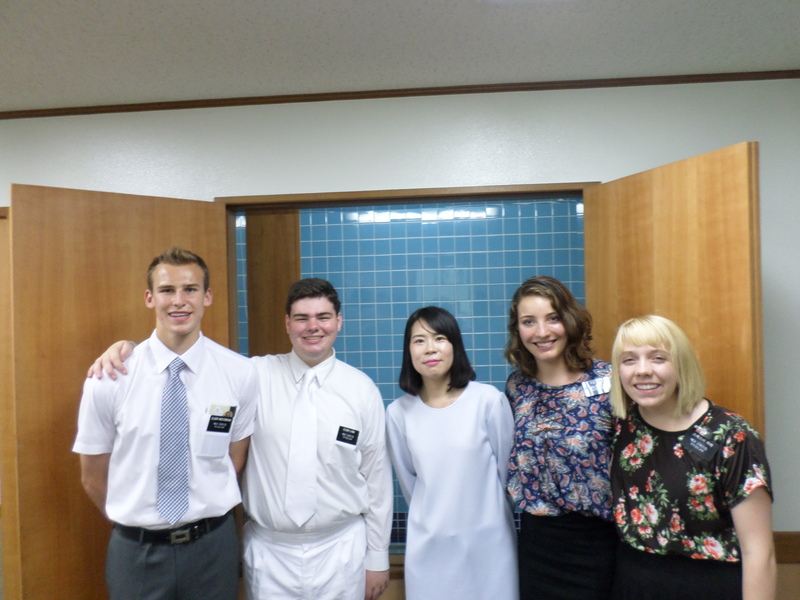 Our 사랑하는 Sister investigator was baptized! It was such a beautiful day! A pair of Elders in our ward came to the church early to scrub the font and get rid of spiders (our font hasn’t been used in a year, I think). We also came early and deep cleaned the girl’s bathroom so Sister L wouldn’t have to walk with her bare feet on dirty tiles. There were a lot of ward members that came to support her (which was nice, because none of her family and friends could make it). I really love everyone in our ward. They were so excited and supportive. They have treated her like family since the beginning. A couple of sisters in the ward even wrote her notes and brought food for after the baptism, even though they’d only met her a couple of times. I love the ward! Sister L was a bit nervous when it came time for the ordinance. She understood how important baptism was and didn’t want to do anything wrong. The first time she went under the water her hair came up, so they had to perform the ordinance again. She was shaking from her head to her toes. 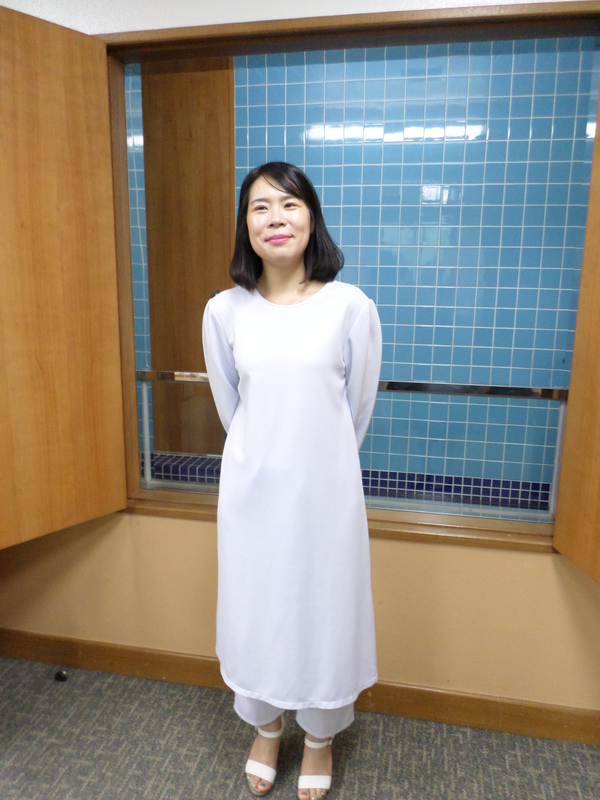 But the second time they performed the baptism, she was completely immersed and she relaxed a lot. As she walked out of the font and we handed her a towel, she just started sobbing. During my entire time with Sister L, I have never seen her cry. She’s a really strong-willed and independent lady, and it shocked us to see her crying. She told us at first it was because she forgot to bring dry underclothes to change into, so Sister H ran to get help and a sister in the ward volunteered to run to a store. As Sister H was out though, Sister L started crying into her towel and I heard her say 약속 Yaksok, which in Korean means “promise.” Then she told me how she had fulfilled her promise with God. A while back, before she had any religion, or really any belief in God, her sister was diagnosed with heart cancer. During this trial, she decided to pray to God, and told Him that if He would heal her sister, she would do her best to follow God the rest of her life. She made that promise with God before she even knew about the Church of Jesus Christ of Latter-day Saints, but she knew that by accepting the ordinance of baptism by someone holding the proper authority of God, she was fulfilling her promise with God… and nothing had ever felt so special to her. Even though she was soaking wet, after she told me this, I just hugged her as tight as I could and cried tears of joy with her. For Sis. L’s baptism, we wanted to do something really special. So last P-day we started making a baptism Memory Book that has a bunch of things about why we love her, and a bunch of scriptures that we hope will prepare her to someday enter the temple. We had people at her baptism and at church the next day sign it and write notes, or their favorite scripture or hymns. We even had a cute primary girl draw a picture in it for her 🙂 We seriously have such an amazing ward where I am serving! I know this is the true church of Jesus Christ once again restored to this Earth. I know Heavenly Father lives and loves us, and that He does answer prayers. I know Jesus Christ is His Son and the Savior of the world. I’m so thankful I have the opportunity to share what I know and love with others!